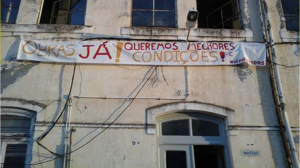 JCP health and is in solidarity with all students at the University of Évora and in particular with that on the 18th of this month, the pole of the lions at the University of Évora (EU) held an action of struggle to demand more and better conditions for their right to study. From the movement of college students’ EU for All “was held a concentration in pole Lions claiming a public bar, increased grants, increased vacancies in the residences, the end of tuition, teaching staff increase and non-teaching and improving the material and human conditions in the EU which became notorious gravity of the theater building of the state that for decades is to make works and that are successively postponed. The problems of the students only be resolved by the intensification and broadening of the struggle. So we appeal to students of the University of Évora come together and be united in defending their rights in achieving a higher education April, free and quality. Already nationwide edition December 2015 AGIT, the journal of the JCP. In this issue, Edgar Silva, candidate for president, answered questions from several young; and marks the 36 anniversary of the revolutionary youth organization. Also noteworthy was the latest youth fighting actions and the need to continue the fight for our rights. 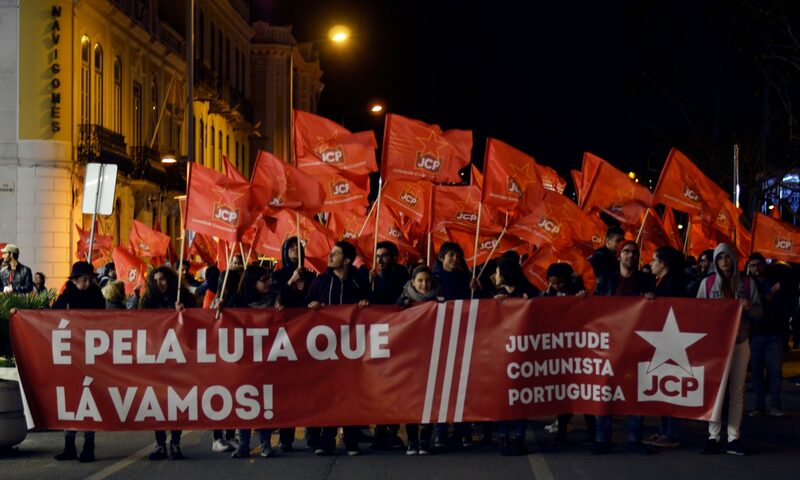 The Portuguese Communist Youth welcomes students of higher education who resist and fight for their right to a Higher Public Education, Free, Democratic and quality, like as inscribed in the fundamental law, the Constitution of the Portuguese Republic. On November 26, students from Porto, Lisbon, Vila Real, Braga, Bragança, Almada, Aveiro, Algarve, Coimbra and Évora, responding to the call of various structures and student associations, organized denunciation actions and protest around issues like the lack of pedagogical conditions the result of shortcomings in the teaching and non-teaching, as well as in infrastructure and other materials; tuition, fees and charges; insufficient and successively delayed scholarships; early school leaving and the thousands who are forced to work or borrow to continue to study. The many actions and the hundreds of students involved from north to south of the country shows that students do not accept the underfunding situation of the institutions and the political moment that we live in our country requires all the fighting in order to effect a policy change which put an end to the elitism path and commodification of education. On behalf of the IOC, we reaffirm that we will do everything so that the demands of the students are heard. We committed to continue the struggle of students and we urge that this be intensified in order to ensure, in practice, a change of policies for higher education.